The Green Bay Phoenix rolled to a 80-65 win over CSU Bakersfield in the quarterfinals of the CIT on Friday night at the Kress Center. With the win, the Phoenix (20-16) advances to the CIT semifinals, which it will host on Tuesday night (April 2) at the Kress Center for an 8 p.m. tip against Texas Southern. 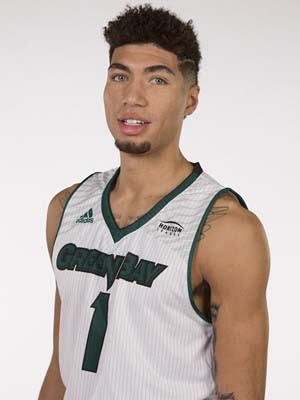 Five Green Bay players scored in double-figures and getting another 15-point performance from Sandy Cohen III. As a team, the Phoenix buried 11 3-pointers and assisted on 17 of its 27 made field goals. The Phoenix has now won its three CIT games by an average of 17.6 points a game, while getting solid efforts from multiple players.